Support GBMC's Pink Glove Dance Video! You may have heard the buzz about GBMC’s participation in the Pink Glove Dance Contest. Well, it’s not over yet! We’re less than three weeks away from the start of voting and the opportunity to win up to $15,000 for a local non-profit that works to help breast cancer patients and their families! The Pink Glove Dance, sponsored by Medline Industries, Inc., is a nationwide contest aimed at helping support breast cancer awareness and education. Each participant submitted a 90-second video, which had to be set to certain music and feature people dancing and having fun while wearing pink medical gloves. GBMC’s video, filmed in June, includes approximately 400 individuals—comprised of community members, GBMC employees and volunteers, patients, cancer survivors and their families. People took time out of their schedules to join us in a choreographed dance to the song “Overcomer” by Mandisa. At the end of the dance, the group formed a giant pink human ribbon, signifying breast cancer awareness and celebration of survivorship. 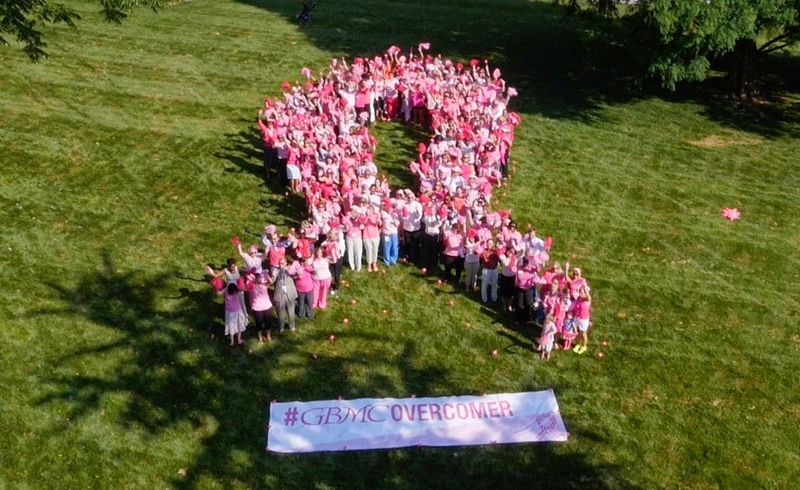 GBMC entered the contest this year to further its continuous efforts of raising breast cancer awareness while promoting education on prevention and treatment. If GBMC wins, we will also have the honor of presenting the $15,000 grand prize to The Red Devils, a Baltimore-based organization whose mission is to fund services like transportation to treatment, assistance with meals and groceries and arrangement of house cleaning services, which improve the quality of life for breast cancer patients and their families. Now that production of the video is complete and it has been submitted, we need YOU! It’s time to spread the word and get everyone you know committed to voting once a day throughout the duration of the voting period, beginning on September 9, 2014! Structured as a bracketed system, the first round of voting ends on September 16. If we make it through this first round, we’ll need even more votes the following week to push us through to the finals. Final voting ends on September 23 with winners announced on October 2, 2014. Here’s what you can do right now: visit our new website www.GBMCOvercomer.com and sign up to receive updates and voting information by email. Encourage your friends and family to sign up, too! We'll be releasing exclusive content on the site during the next few weeks, so sign up today be among the first to view behind the scenes photos from the filming and more! We can’t wait to share the video with you! Another school year is upon us and with that comes new routines, new sports schedules and a whole new world of germs. Don’t worry, GBMC has tips to help you prepare your family for a healthy start! In the summer, it’s easy to let routines fall away and be more laid back about bedtime. 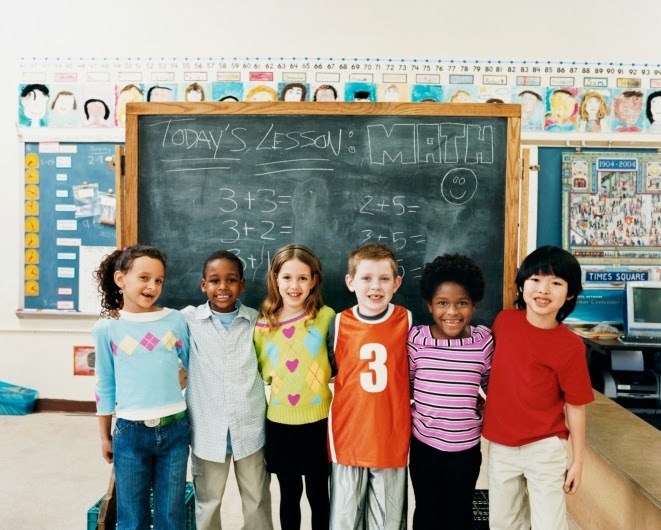 It’s important for your children to be alert and energized for school, so if your kids haven’t been on the strictest of schedules this summer, it may be wise to start preparing them for the September routine as early as possible. Determine age-appropriate bedtimes for your children and gradually start to change their routine. It is also helpful to start waking up at the same time every day, including weekends, to start getting your children (and yourself!) adjusted to waking up early again. With a classroom full of children sharing toys and school supplies, germs are likely to be present. One of the best ways to reduce your child’s chances of getting sick this fall is to encourage frequent and proper hand washing. The Centers for Disease Control and Prevention (CDC) state that frequent hand washing helps to reduce respiratory illnesses, such as colds, by 21 percent. Teach your children proper hand washing at home and encourage them to wash their hands often while at school. Reminders for proper hand hygiene: thoroughly wet hands with either warm or cold water; be sure to lather soap on the backs of hands and between fingers; scrub for at least 20 seconds (singing or humming “Happy Birthday” takes 20 seconds! ); and dry hands with a clean paper towel or air dryer—never a shared bath towel. The CDC indicates that flu vaccination should occur as soon as the vaccine is available, which is typically in September, depending on where you live. It takes about two weeks following the vaccination for the body to develop antibodies that protect against the flu, so the sooner you and your children get the shot, the better protected you will be. GBMC wishes your family a happy and healthy school year! or deli meats and soft cheese. Listeriosis is an illness that has made its way into the headlines lately. A type of food poisoning, Listeriosis is caused by consuming food that is contaminated with the Listeria monocytogenes (L. monocytogenes) bacterium. While the bacteria aren’t a threat for the majority of generally healthy people, they are of particular concern to pregnant women due to harm they can cause to the fetus or newborn. 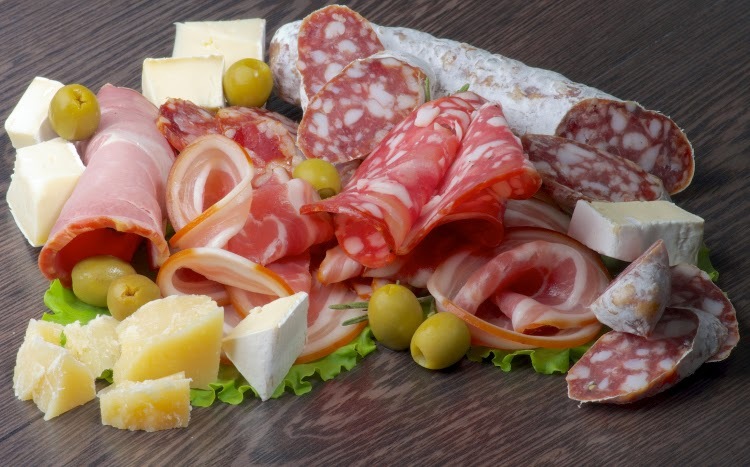 Listeriosis is also known to affect the elderly and adults with impaired immune systems. Listeria is found in soil and water. Some animals, including poultry and cattle, are natural carriers of Listeria, so the bacteria can be present in unpasteurized milk and milk products. Additionally, food processing plants sometimes harbor the bacteria. Avoid consuming hot dogs, cold luncheon or deli meats. Or, heat these foods until they are steaming before you eat them. Don’t eat unpasteurized milk or milk products, including soft cheeses, such as feta, Brie and queso blanco fresco. When in doubt, check the label of cheeses to ensure they are made from pasteurized milk. Avoid refrigerated pâté or meat spreads and refrigerated smoked seafood. While you should avoid refrigerated varieties of these foods, canned options are generally safe. Do not consume salads (i.e. ham, chicken, egg, tuna, seafood) that were prepared in a store. Additionally, be sure to follow everyday safe food handling practices, including keeping raw meats separate from other food, thoroughly rinsing fruits and vegetables before eating them, washing hands after handling food, cooking meats thoroughly and storing foods safely at the appropriate temperature. Symptoms of Listeriosis can include fever, nausea, vomiting and diarrhea. If you are in one of the high-risk categories and have eaten food that is part of a Listeria recall, contact your doctor. He or she will be able to determine if further testing for Listeria is necessary. In some cases, patients may need intravenous (IV) antibiotic treatment to prevent or slow down the progression of Listeriosis and offer protection to the fetus in pregnant patients. For more information on Listeria, Listeriosis and safe food handling, visit www.foodsafety.gov. In need of a physician for yourself or a family member? Try GBMC’s Find a Doctor search tool at www.gbmc.org/findadoc. According to the National Eye Institute, more than 50 percent of Americans will have either a cataract or cataract surgery by age 80. A cataract clouds over the lens of the eye, impairing vision. 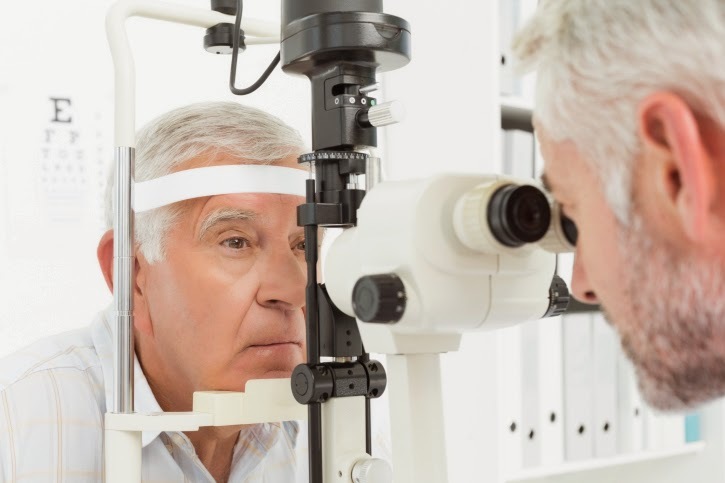 Most cataracts are caused by aging, but they can also form after an eye injury, exposure to certain types of radiation, or as a side effect of another disease. Though rare, some babies are born with cataracts, a condition known as congenital cataracts. Individuals who have diabetes, smoke or have a family history of cataracts are at a higher risk of suffering from them. It is recommended that all adults begin getting baseline screening exams, complete with pupil dilation, beginning at age 40 so that early warning signs of eye disease, such as cataracts, may be identified quickly. Early on, treatment of cataracts may include a prescription for new glasses or special glasses with high magnification, adjusting lighting in your home and/or using sunglasses with an anti-glare coating. When more conservative approaches are not effective, surgery to remove the cloudy lens and replace it with an artificial lens is the next viable option. Fortunately, cataract surgery is considered to be highly successful. It is one of the most commonly performed operations in the United States, and advancements continue to make this procedure safer while offering patients better outcomes. In addition to offering conservative approaches to cataract symptom treatment, GBMC offers state-of-the-art cataract surgery that can often be performed without shots or stitches, allowing patients to resume regular activities within a few days. To learn more about GBMC’s ophthalmology services, visit www.gbmc.org/ophthalmology. 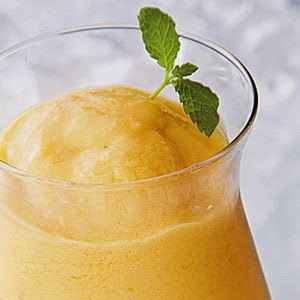 Place first 4 ingredients in a blender; process until blended. Add peaches; process until smooth. Divide evenly among four glasses; garnish each serving with a mint sprig, if desired. Serve immediately.